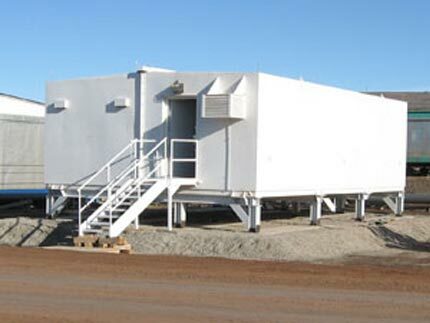 A military base located in a very harsh winter environment needed an arms vault very quickly. They had a short window of opportunity and wanted a portable unit. However, they needed something that could be elevated above several feet of snow. Armag personnel recommended they construct a concrete and steel stand to support a duplex armory. We constructed an external stairway and then customized the armory by adding several inches of additional insulation and additional heat. Armag personnel traveled to the site and set the unit in place.